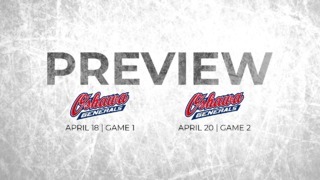 This is the last weekend of the OHL regular season and the Ottawa 67’s will be keen to make these games count. A strong finish in the remaining three games will help the 67’s get into a favourable position for the playoff battle and also give them momentum going into those games. These final games also come with extra significance for the Barber Poles as they are facing two direct competitors in their standings battle. They start off with two games on the road against the Barrie Colts and the Mississauga Steelheads before returning to the Arena at TD Place to play the North Bay Battalion. The Barber Poles are currently eighth in the Eastern Conference but just three points separate them from the Battalion in sixth place. The Steelheads are one spot above the 67’s and these two games are crucial ones for the Ottawa side. The Colts are sitting comfortably in second place in the Eastern Conference. They are in good form, having lost just one out of their last seven games and having scored an average of 5.8 goals per game. In the last five encounters between these two sides, the 67’s have 2-3 record. This will be the fourth meeting between these two sides this season. 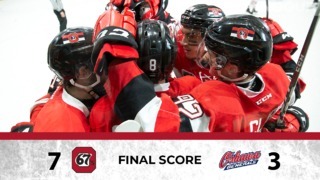 In the last game against the Colts, the 67’s produced a strong comeback to win 4-3 and will be hoping for another positive result from this encounter. Earlier this week, the Steelheads defeated the 67’s for the first time this season. That 5-1 win saw them leapfrog the 67’s in the standings. They have won three out of their last five games and will put up another strong battle against the Ottawa side. The 67’s will be looking to draw inspiration from their earlier wins this season and grab two huge points from this decisive game. The Battalion have won just two out of their last seven games. They’ll be looking to maintain their position in the standings to ensure a favourable playoff position. This will be the fourth meeting between these two sides this season with the 67’s having won two out of those earlier battles. 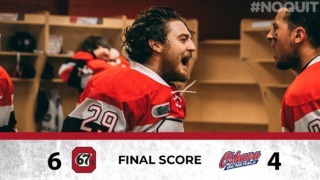 This game is another crucial one for both sides and with this being the final regular season game at TD Place, the 67’s will be hoping to end the season on a high note. Sasha Chmelevski has 17 points from 11 games. The game against the Steelheads was the first time in 11 occasions that Chmelevski failed to score a point. The game against the Steelheads was Tye Felhaber’s 100th game for the 67’s. Felhaber has 11 points from his last eight games. Travis Barron has seven points from his last six games and Sunday will mark his 250th regular season game with the Barber Poles. Kody Clark needs one point to complete 50 for the 67’s.